The three peaks within the Park are part of the Virunga Volcanoes, bordering on Democratic Republic of Congo and Rwanda. Their slopes contain various ecosystems and are biologically diverse. 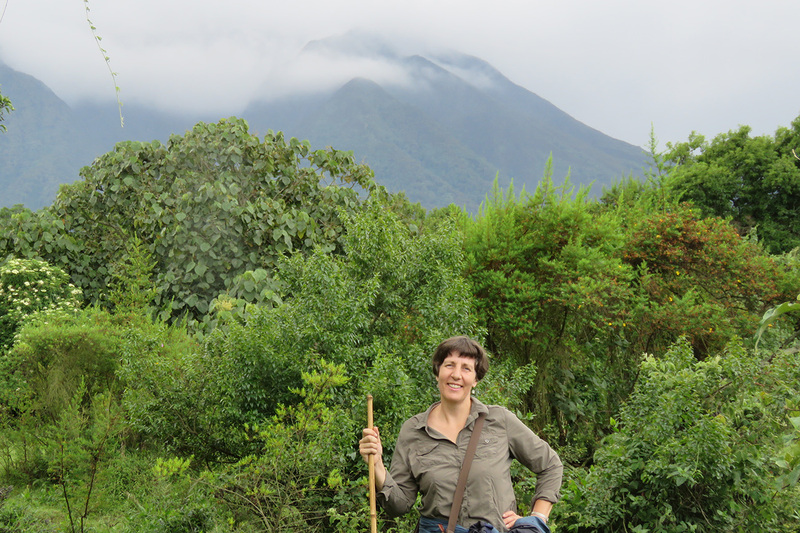 An excellent place to visit, not just to track the mountain gorillas, but also to view the stunning scenery. Garama Caves – visit this sacred place of the Batwa and learn about its history. Gorilla tracking – track these endangered primates and spend some time with them. Batwa pygmies – the dense forests are home to the indigenous Batwa who depended upon the forest for their livelihood. They will guide you through the forest and show you the techniques they used to survive. Lake Bunyonyi – just beyond the Park, the lake is dotted with around 20 small islands and can be enjoyed by canoe or kayak. You can even swim in here, since there are no crocodiles or hippos. Animals: Mountain gorilla, golden monkey, giant forest hog, bush pig, forest buffalo, elephant, golden cat, side-striped jackal, black-fronted duikers and South African porcupine. Birds: Ibis, Pin-tailed Whydah, Speckled Mousebird, Stone Chat, Grey-capped Warbler, Wax Bill, Yellow-vented Bulbul, Firefinch, White-naped Raven, Black Kite, Rwenzori Turaco, Blue-headed Coucal, Paradise Fly-catcher, Rwenzori Batis, Double-collared Sunbird and Rwenzori Nightjar.